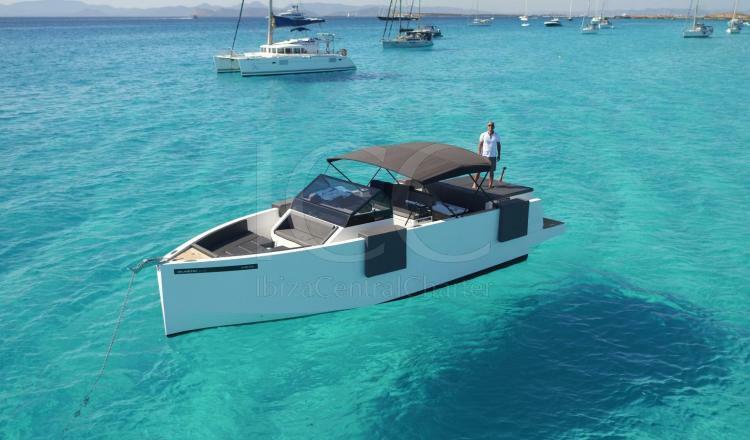 De Antonio Yachts D33 Open new motorboat stands out for their efficient design and the aptitude to transport up to 12 persons in his interior, which turns it into one of the ideal motorboats to enjoy of a day of sea Mediterranean knowing Ibiza and Formentera. 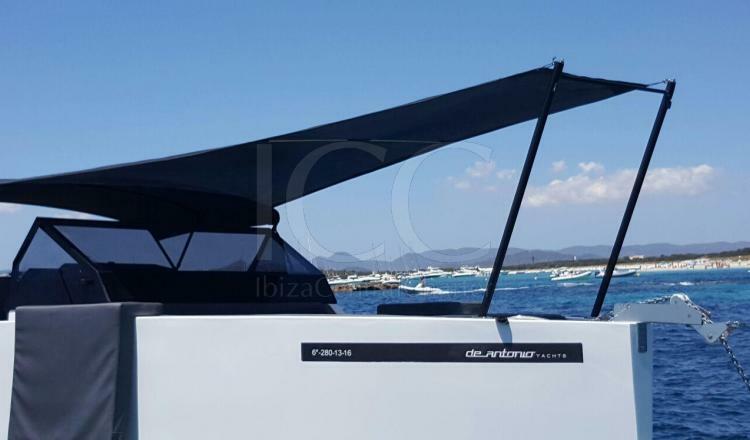 The new De Antonio Yachts D33 Open motorboat is available in Marina Ibiza port, one of the perfect motorboat to spend a sailing day with your friends or family thanks to the 12 places that it has. 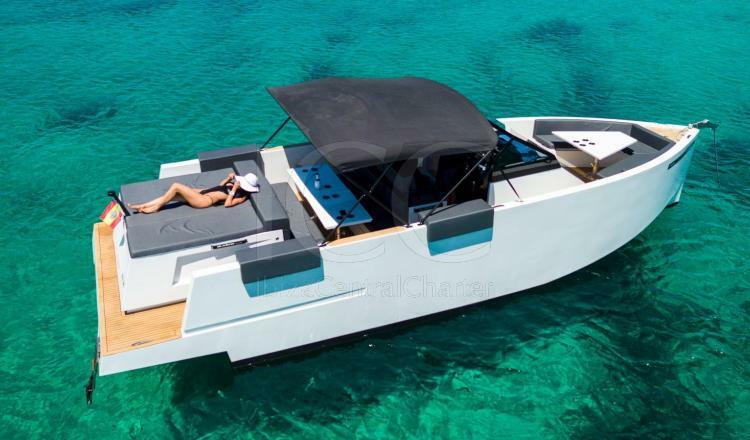 This boat has a solarium in bow and other one in stern, with the difference of which the soalrium of bow is transformable in a comfortable zone of sofas and table where enjoy a good lunch. Inside of De Antonio Yachts D33 Open is equipped with wood furniture, one double individual beds cabin, a full bathroom and sink. Definitely a great choice to spend an unforgettable sailing day. - Snorkel equipment and Paddle surf. 50% reservation by bank transfer- 50% when borading.